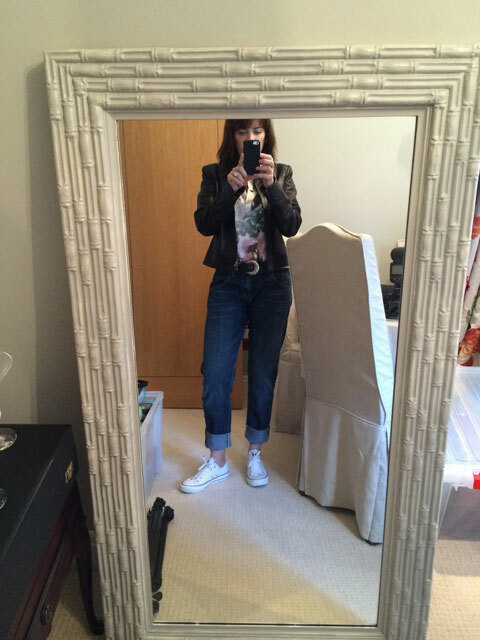 I find when choosing a powder for your particular skin type it can be a mine field! The lighter the better is the way to go, even if you are tempted to go heavy in order to cover up a blemished skin as it often highlights imperfections and looks caked over. It is best to use a small brush and blend carefully directly on the problem area very gently. I found this product works really well. 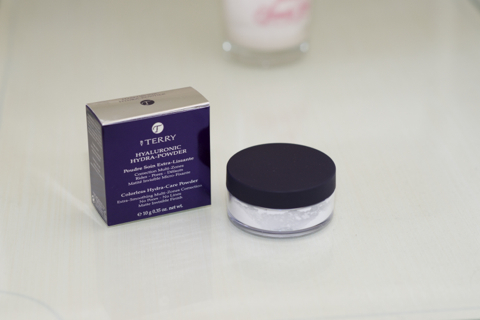 BY TERRY - HYDRA-POWDER is perfect for summer. This ultra fine loose powder, and it is very fine, so take care what you are wearing when you apply it, or your outfit will be wearing it too! 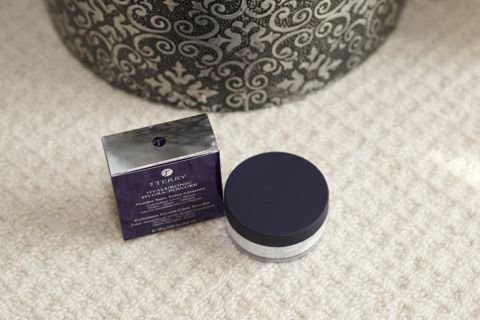 Despite this small issue, this powder has a silky texture that fills and disguises fine lines and imperfections providing a smoother appearance to the skin. Its hydra-protective formula provides a subtle light matte finish that is perfect for hot sultry days. I thoroughly recommend it! As someone who has struggled with late on-set acne I had been unable to use anything except thick, full coverage foundations until I finally gave in and went on a course of Roaccutaine which was a revelation to my appearance and eliminated the cystic acne I had endured for many years. This allowed me to try this new foundation primer which adds a touch of golden warmth to the skin. Claiming to be 'hydrating' this water-based preparation creates a great canvas for summer makeup. Enriched with vitamins A, B, E and Jojoba oil this bronze primer gives an illuminating effect, which is very soft providing a light base for your foundation, although I have used it with just a touch of bended concealer I have worn it alone which is a first for me! 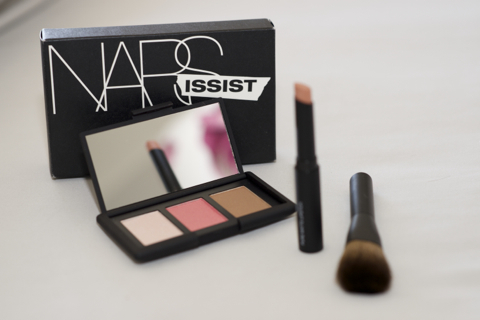 Nars are well known for their high-octane vivid colours and unusual and playful textures. This new cool cheek kit really captures this spring's colour trends. It includes three colours a peach, a pink and a soft brown for shading, that are soft and slightly shimmered, the hues that all beauty bloggers are coveting this season. 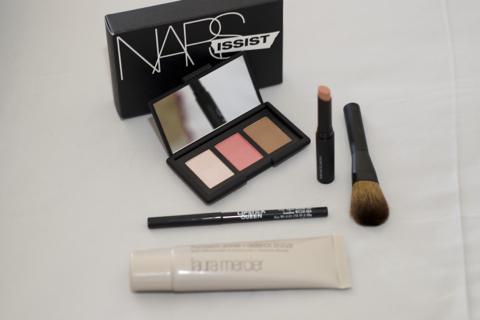 A must-have for my makeup bag, its also thin enough to fit in a clutch for the evening. 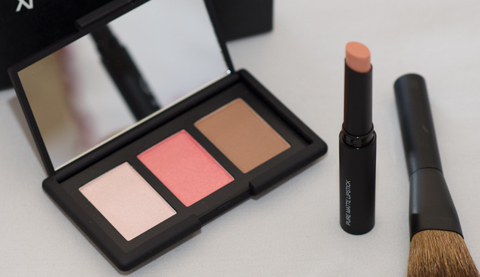 I use it constantly as it's an eye and blush set all-in-one! Anything for an easy life...! After a bit of a wrestling match with the features of my new Nikon D610, I managed to upload the photos of my recent product reviews, so apologies if you get a bit bombarded with a series of them in the near future! 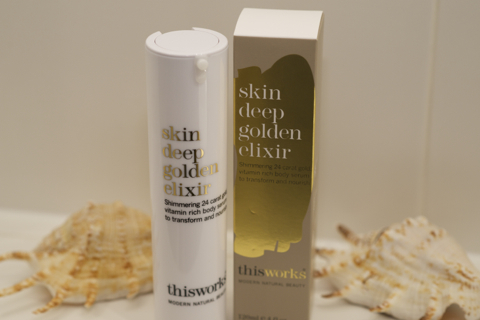 The skin deep golden elixir by this works claims to be another shimmering body lotion, with a '24 carat gold' serum to age proof, hydrate and enhance the skin. Here is my tip: many shimmer products, though mainly ones used on the face, in terms of aesthetics tend to not be very flattering to an ageing skin and have the opposite effect. This product made me eat my words, as its subtle shimmer is extremely flattering and a must have for any holiday beauty bag. 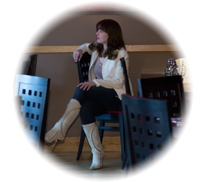 The lotion is rapidly absorbed and contains antioxidants and wrinkle reducing vitamin A. Shake well and massage into the skin for a sun kissed, golden glow.